The very first time, our volunteer saw Annie in the cage of New Taipei City Animal Protection and Health Inspection office, she could never forget her. With her poor watery eyes on her tiny face, wagging tail and beautiful coat, the volunteer really just wanted to hold her tight. 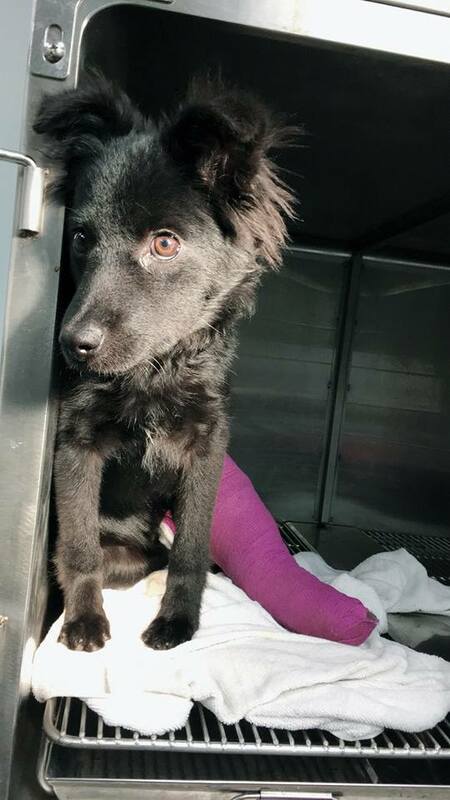 It’s hard to imagine this sweet little puppy was found beside a road with thigh and shank bone fractures and then was reported to the shelter. 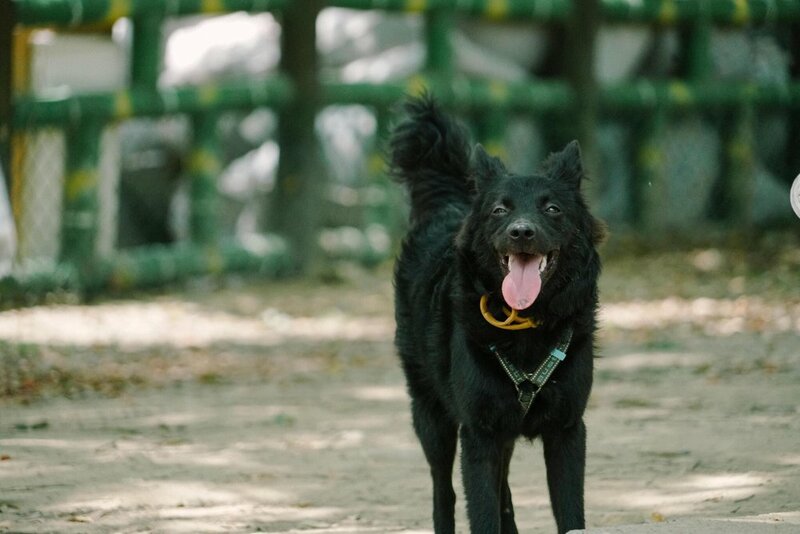 Since there was no medical resources in the remote shelter, she was sent to New Taipei City Animal Protection and Health Inspection office for surgery. She had to stay in the cage for over 1 month waiting for surgery and then going through recovery. Even with her tough past, she still loves people very much and she is as playful as a normal puppy should be. 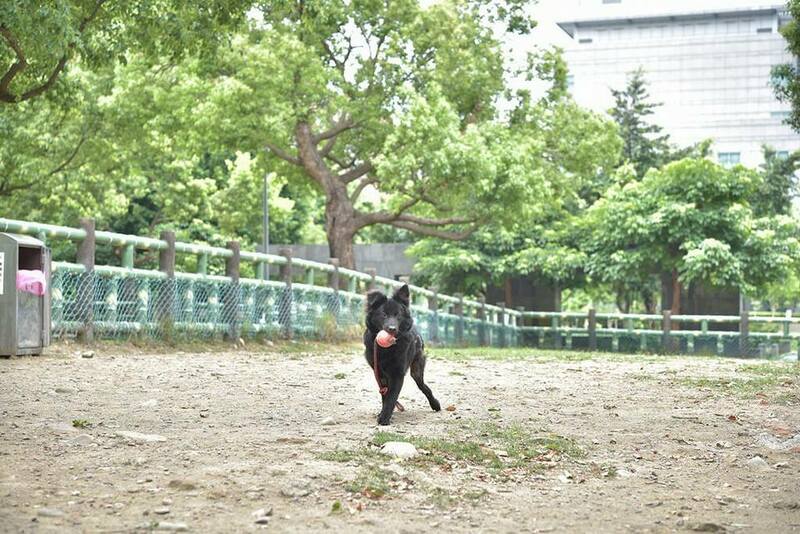 When our volunteer knew that she was going to be sent back to the shelter located in the remote mountains of Taiwan, with an almost zero adoption rate, without hesitation that volunteer decided to bring her back and try to find a sweet home to call her own. Annie is a lovely and affectionate little girl who is friendly with dogs and people. She is also a fantastic cuddle bug who loves to be hugged and cuddled a lot. 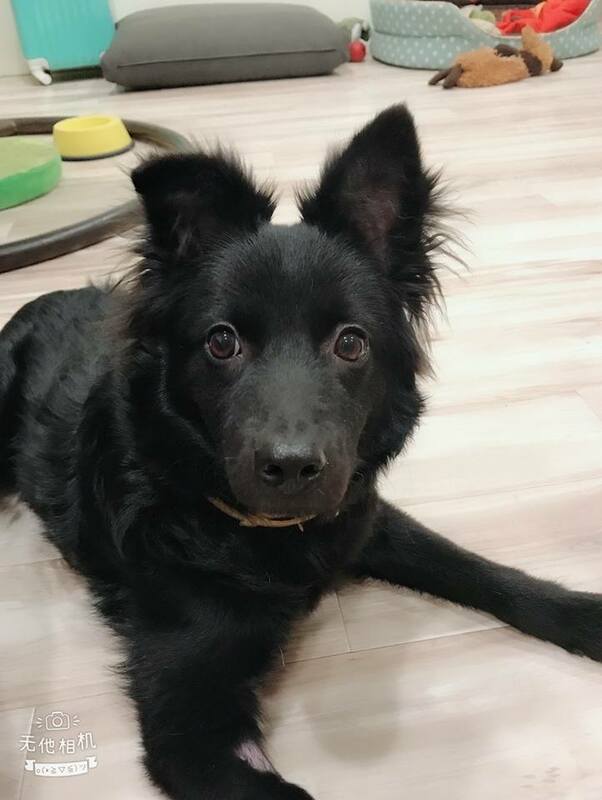 Due to her past of fractures, she is still gaining her muscle back that she might need breaks from time to time after running around or playing with other dogs. When strangers approach she might be a little cautious at first, but she warms up quickly after few minutes. If you approach gently with slow movement, she will come and follow you for affection. Annie gets along with dogs very well and she loves to play with any dog who would play with her. Sometimes she is scared of big and sudden movement that she would stay for a distance. She is also a smart girl that she learns very fast. Annie loves to be around with people and dogs, getting pets on the head, tummy rubs and looking for attention. She is still a puppy full of energy that needs to be walked 2-3 times a day. She also loves to play with all kinds of toys and she gathers them all together wherever she sleeps. If you’re looking for a loving puppy that can cuddle with you a lot and play with dogs as crazy as she can, Annie is the best choice ever. 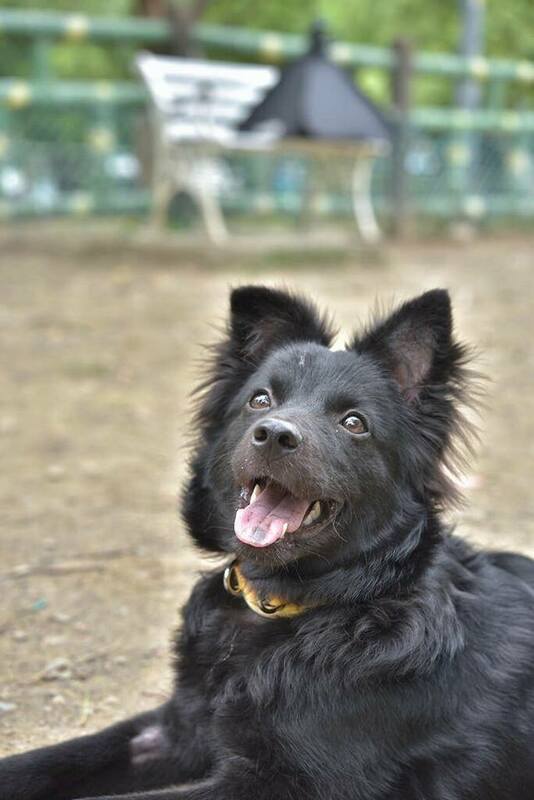 Comments: She is very outgoing and playful that she loves to play with doggy friends at dog park. But due to her left back leg is still lack of enough muscle, she needs to stop and lay down after playing for a while. Comments: May pull due to excitement so need to remind her to slow down. Now is working with her by repeatedly stopped when she pulls but still in working progress. 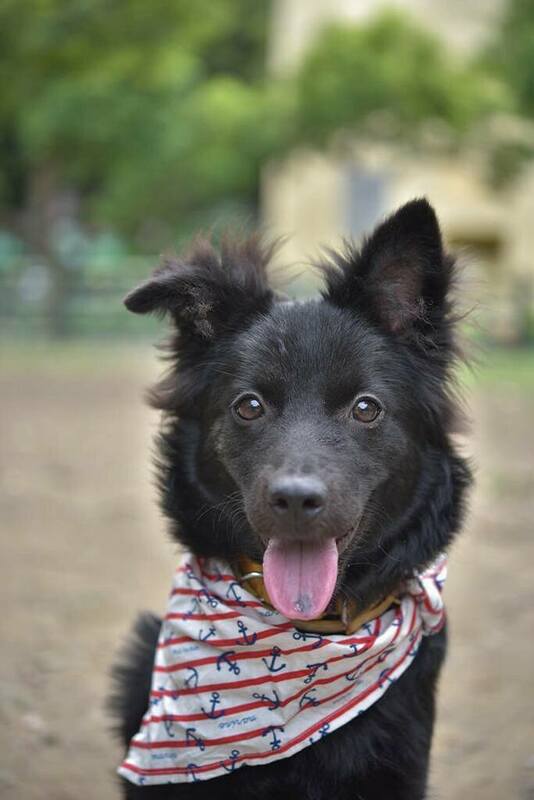 Barks when left alone - At first foster home, she barked for 1-2 minutes, then stop. Better to have dogs with her when people leaving the house. But at second foster, she didn't bark when people left her with another dog.